According to The Seasonal Chef, the word “coleslaw” comes from the Dutch koolsla, which means cabbage salad. And while they make a point of insisting upon cabbage as a central ingredient, I like to think of coleslaw more as a crunchy salad mixture, open to anything that can be sliced into thin slivers, then dressed. While I often make a ‘traditional’ coleslaw, with green cabbage, onions, carrots and mayonnaise, my new favorite is with fennel, apple, sesame seeds and rice wine vinegar for a vaguely Asian influence. I made some at Thanksgiving, for a light, fresh side dish that gave us a break from all that yummy rich food. Or there’s cabbage, apple, carrot, raisin with a sweet mayonnaise dressing for a nice take on a Waldorf, but without the nuts. Oh what the hell, toss some walnuts in too… Think green onions, think jicima, shallots, carrots, red or purple cabbage. Be creative- whatever is at the farmer’s market is bound to be reasonably priced as well as fresh. 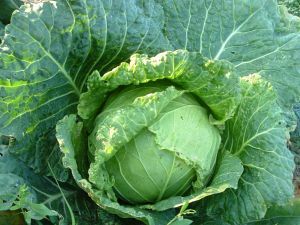 Coleslaw is also a frugal recipe, as cabbage is not usually very expensive, nor are many of the alternatives. Not to mention that it is a great winter fresh vegetable dish, for all those times when leafy lettuce is out of season. Mmmm. sounds yummy with fennel, apple, sesame seeds and rice wine vinegar. .-= FinanceDad´s last blog ..13 must have iPhone applications for the frugal or money saving geek =-. Sounds yummy. I typically include cabbage on my grocery list. I also like to add it to stir-fry and soup. For salads…I like to add some tuna, craisins and sunflower meats. .-= Nancy´s last blog ..in honor of my daddy =-.